The Sd.Kfz. 162/1 Jagdpanzer IV/70(V) was a German tank destroyer produced between 1944 and 1945. Approximately 950 tanks were produced during that period. It was a successor of the Jagdpanzer IV from which it differed mainly by a more powerful cannon. A 75mm PaK 42 L/70 cannon was installed; the ammunition available was enough for 79 shots. As an additional armament, a MG 34 a machine gun with 1,200 bullets could be installed. 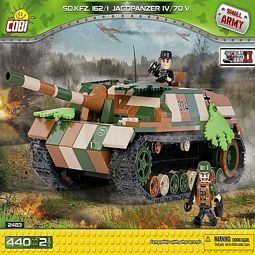 This unique block model has a cannon that moves up and down and the turret rotates. 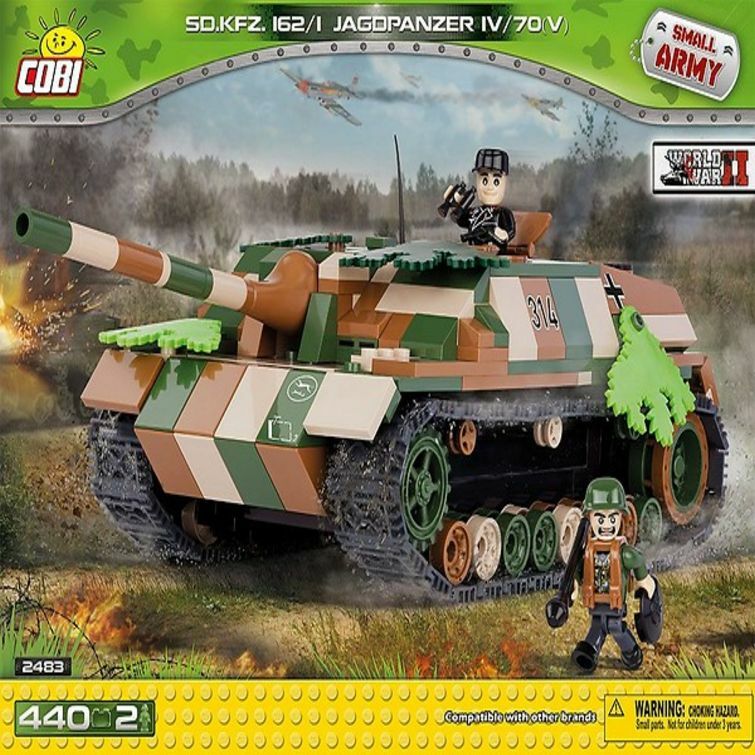 In this set you can also find 2 figures with armament and block leaves to camouflage the vehicle.